The Amarinth API 610 OH2 process water booster pumps, with Plan 53B seal support systems, will be installed on the Solan platform in 135m deep waters. The pumps were required on a quick turnaround and had to fit tight space restrictions. 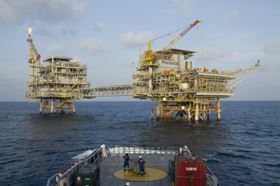 Premier Oil is expected to build up production to 20 000–25 000 barrels of oil per day from the field.